I get the question a lot: How DO you earn money with blogs? 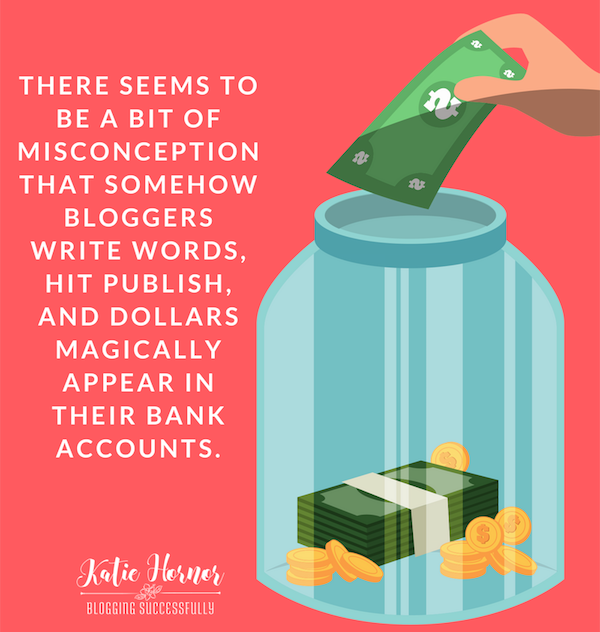 There seems to be a bit of misconception that somehow bloggers write words, hit publish, and dollars magically appear in their bank accounts. Some also distrust the make money blogs, thinking their tips and advice can't possibly function as they claim. 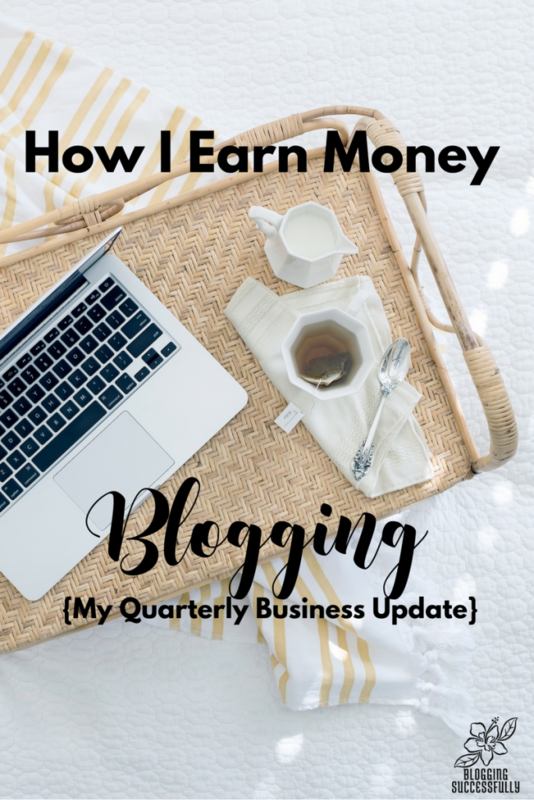 I am a real-life, full-time blogger and I do make money with my blogs, and in this post, I'm going to show you the breakdown of our multiple streams of blogging income. This site uses affiliate links. To see our full disclosure, click here. Several months ago I explained why I don't publish my blogging income reports. Those convictions haven't changed. However, if we never share what we're doing, others can't learn from it. I want you to benefit from our strategies, activities and the variety of our income streams. It's possible to earn and earn well. We changed from hobby blogging to “for profit” blogging in 2012, and met our goal of full-time income through our blogs as of July 2016. It's work, just like any job, and there are definitely perks, but it's not a get-rich-quick or easy thing. That some of our income sources could also work for you, or that you could up your efforts in a certain area to increase your returns. It fluctuates, and that's OK. Some months you make more from one stream than another. Some months one stream may make nothing at all. Once you've been at it a few years, you can begin to see the patterns, and plan for them, but for now the important thing is to expect fluctuation and not put all your “eggs” in one basket. Having your own product(s) is huge! I always encourage my people to create a product as soon as possible. In January, we were working on our rebrand from ComoBlog.com to BloggingSUCCESSfully.com and getting ready to launch our podcast. There was a lot going on that wouldn't see any ROI (return on investment) for several months. Sometimes you have to do that in business. We had a product included in a sale at Ultimate Bundles and earned some good commissions there. If you'd like to become a contributing author or affiliate for Ultimate Bundles, check them out here. It was important to us to monetize the podcast from day 1. We realized that we were just starting, no numbers to share (yet), no track record (yet); but we also realized that if we partnered now with smaller brands at accessible “just-starting” rates, we could help them reach folks they might not otherwise reach for prices they might not otherwise afford if we waited until we were a “huge” podcast to start recruiting advertisers. If you're interested in reaching an entrepreneurial audience with your brand/product via our podcast, please click here to get the conversation started. I look forward to talking with you! In February, we started our once-a-month live virtual masterclass series. To date the Content Planning Masterclass has been the most popular and we're currently working to turn that into a DIY video course. We resumed our private coaching program again for the year, and also launched the ForYourSuccess! Podcast, airing interviews with folks like Sasha Gray, Rachel Marie Martin, and Kyle Taylor. I spoke in a couple of virtual summits and I co-hosted a writers retreat, which brought in some additional income. We sold a lot more of our own products and also promoted a few new (to us) affiliate programs in March. Ray Edwards is one of the best copywriting instructors out there. Many of the greats (including Mike Kim and Donald Miller of Story Brand) have learned from him. I LOVED his course because of the guided practice more than anything, and enjoyed being part of his affiliate team as well. I also connected with Kate Ahl of Simple Pin Media to do a Pinterest webinar and promote her Simple Pin Master Course, one of the most comprehensive Pinterest courses I have ever seen. Her entire business is built around helping you grow your income on Pinterest and I can't speak more highly of her trainings. You can see our highest categories online were our own products and affiliate products. 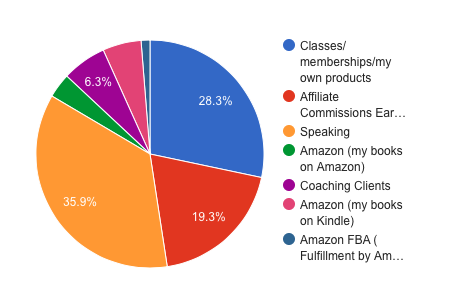 Here are the products and services we sold as well as the affiliate products we promoted and some of the expenses we had during Quarter One. I co-hosted the third #LetYourWriteShine Retreat in February – such a joy to bring women together and facilitate their growth spiritually and professionally. We took out Lemonhass® homeschool curriculum to the Hogar Educador conf in Merida, Mexico in Feb. I attended Social Media Marketing World in March and loved it! The best professional development event for online marketers I have ever been to. As for next quarter… We've evaluated and identified a couple of areas where we are spending more than the activity is making and we are cutting back on those activities to spend more time on the things that are making a difference in the gross income. We've also cut several things from our budget for quarter 2 to steward our resources more wisely. I hope you will look through all of these sources of income and find a few that you can also put into place to to increase your efforts to earn money with your blogs as well. Thank you for sharing 🙂 It is impressive to see all that goes on behind the scenes. God bless you. Kirsten, thanks for you comment. There is a lot that goes into blogging, but if that’s your calling, it can be great fun as well!